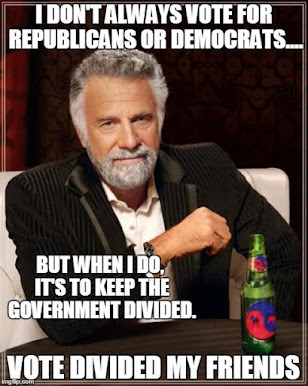 In 2007, as a blogging toddler, the Dividist despaired at finding a unique approach to writing about the SOTU when so many other bloggers would be traversing the same ground. The answer came from Bob Woodward. 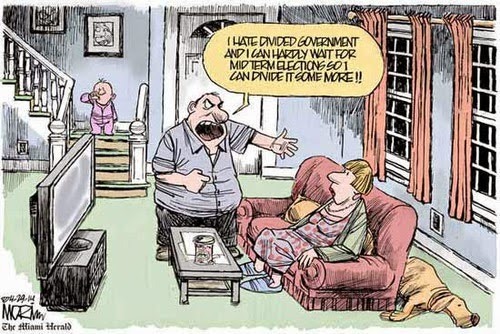 In an on-line Washington Post forum the Dividist asked whether the SOTU had any real relevance. Woodward responded by saying it was "mostly theater." Genius. That was the answer. What better way to frame the SOTU social media reactions than within the lyrics of a Broadway show tune? The game is to start with a Broadway song then find blog posts, news stories, tweets, essays and commentary that can be vaguely referenced in the song and link them to the lyrics. It keeps the Dividist awake and blogging throughout the speech without distracting too much from the mandatory drinking games. 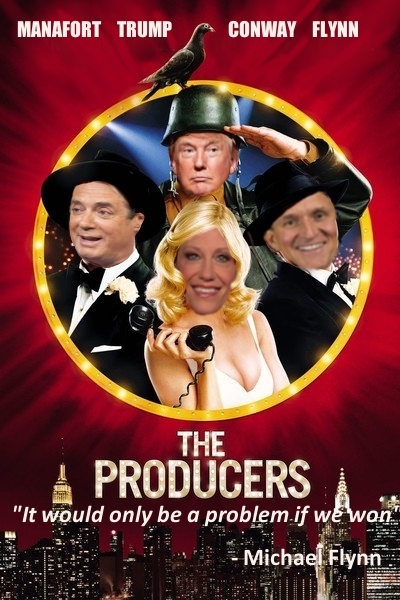 And now, for 2018, after 11 years of singing and dancing our way through the State of the Union, and with our 3rd President at the podium, we find the easiest musical selection ever - "The Producers." "The Trump campaign had, perhaps less than inadvertently, replicated the scheme from Mel Brooks’s The Producers. In that classic, Brooks’s larcenous and dopey heroes, Max Bialystock and Leo Bloom, set out to sell more than 100 percent of the ownership stakes in the Broadway show they are producing. Since they will be found out only if the show is a hit, everything about the show is premised on its being a flop. Accordingly, they create a show so outlandish that it actually succeeds, thus dooming our heroes." "Almost everybody on the Trump team, in fact, came with the kind of messy conflicts bound to bite a president once he was in office. Michael Flynn, the retired general who served as Trump’s opening act at campaign rallies, had been told by his friends that it had not been a good idea to take $45,000 from the Russians for a speech. “Well, it would only be a problem if we won,” ­Flynn assured them." And now, President Donald Trump's first real State of the Union (that thing last year didn't count). I was tempted to use "The King of Broadway", but there's only one appropriate musical selection from The Producers for this edition. Godwin's Law notwithstanding, it has to be "Springtime for Hitler." Look, I don't think Trump is Hitler and I don't think Republicans are Nazis. It was satire for Mel Brooks and it's satire for me. But I do think Donald Trump is Franz Liebkind, a sad, delusional playwright that somehow scores a hit. Besides, I rewrote the lyrics. So, no problem. We'll post the lyrics now, update with links to live-bloggers, pundits, twitteratti, analysts and reporters before, during and after the speech. It'll be over when we get tired of the speech or too drunk to type. "Springtime for Donald and America"
You know we'll be going to WAR!